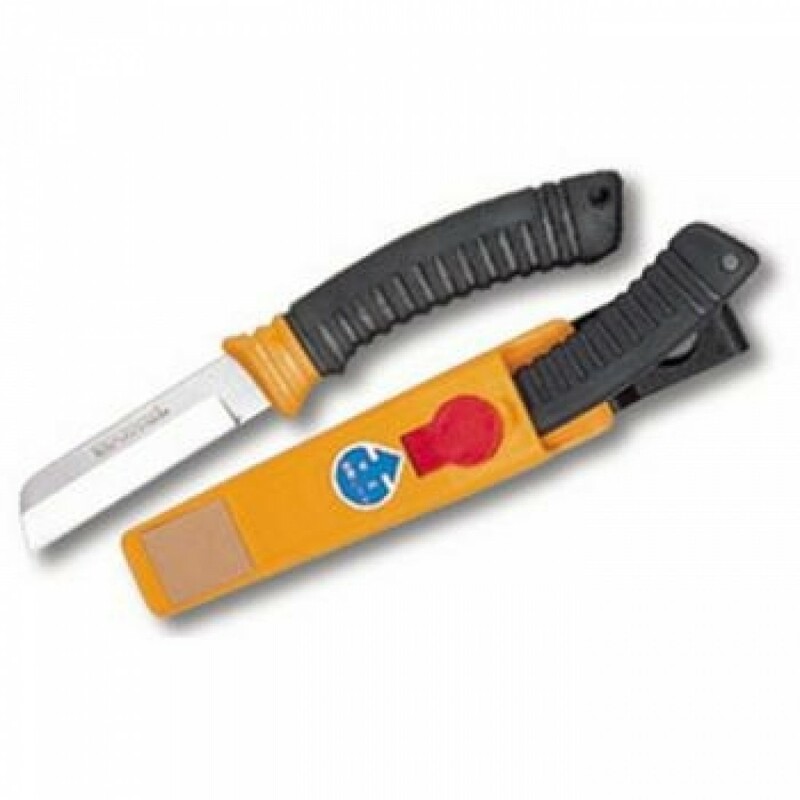 Utility knife with non-slip finger grooves made from high-quality rubber. Effective for summer and winter use. Well-balanced blade for keen cutting and rough use. Safety locking device. Comes complete with case and integral whetstone and revolution free joint.